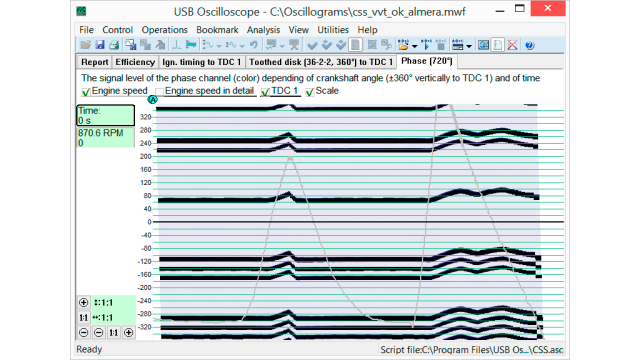 Connection of the USB Autoscope IV to the CKP sensor signal wire. 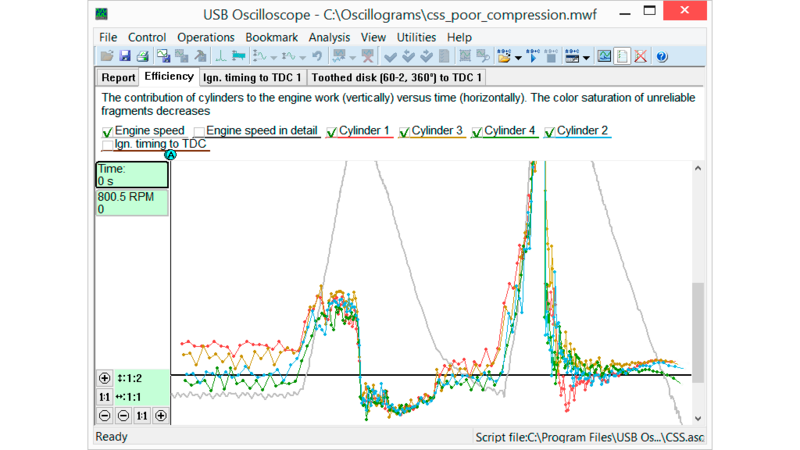 Using an external optical crankshaft sensor if the vehicle is not equipped with a CKP sensor. 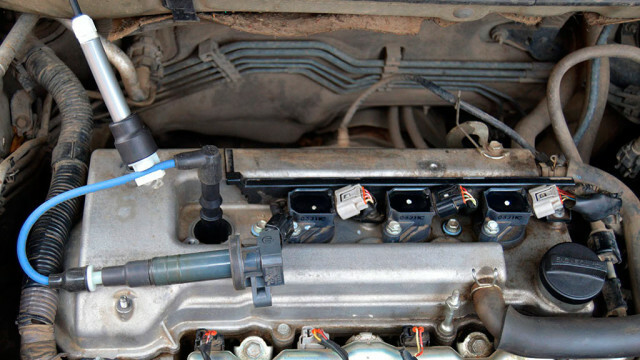 Connection of synchronization transducer to a distributor type ignition system in order to obtain a synch signal from the timing cylinder. 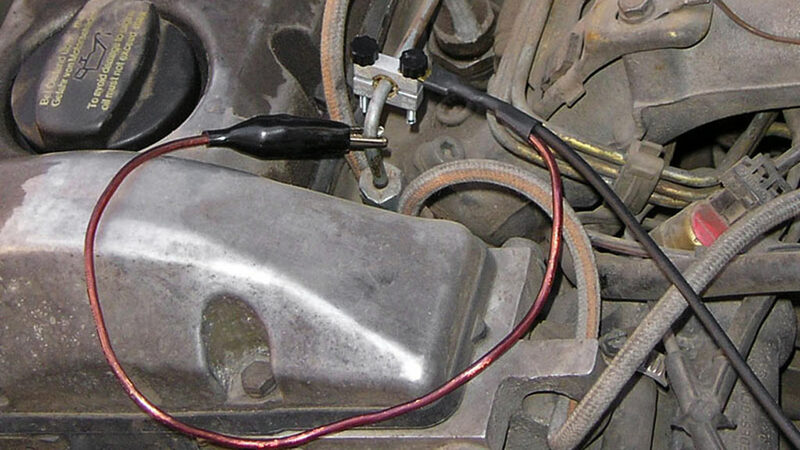 Connection of synchronization transducer to a COP ignition system in order to obtain a synch signal from the timing cylinder. 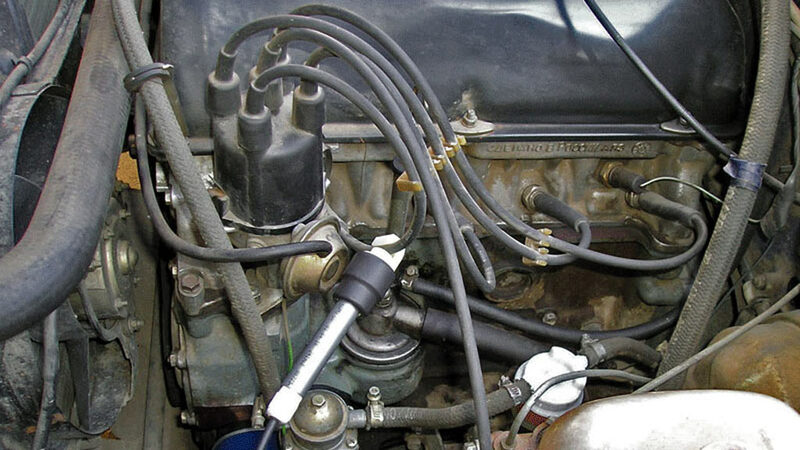 (Additionally a high voltage extension lead is used). Connection of a low current transducer in order to obtain a fuel injection synch signal of electronically controlled diesel injector. 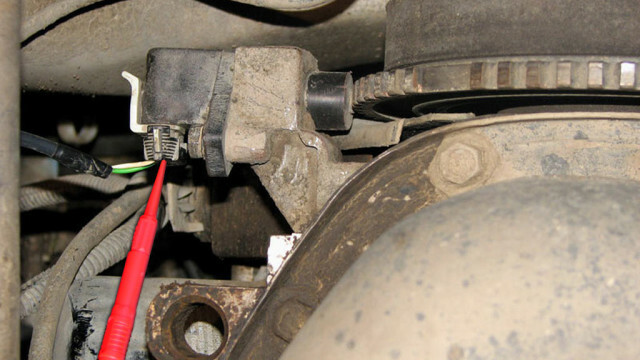 Connection of a transducer used to detect pressure pulses in diesel engine fuel rails in order to obtain a fuel injection synch signal of mechanical diesel injector. 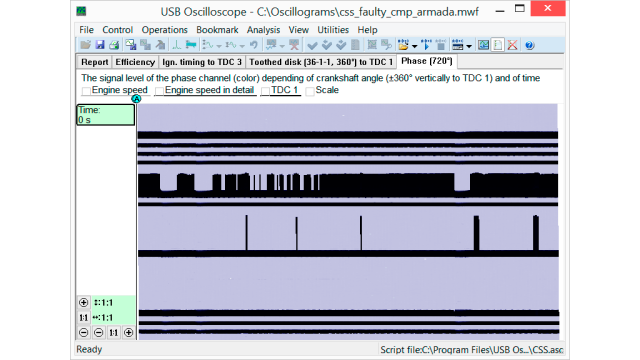 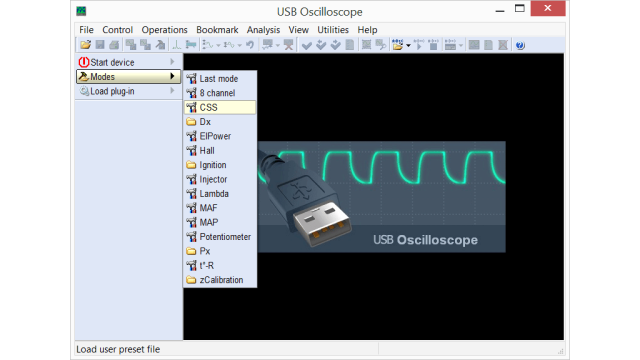 Setting the USB Autoscope IV to the CSS testing mode. 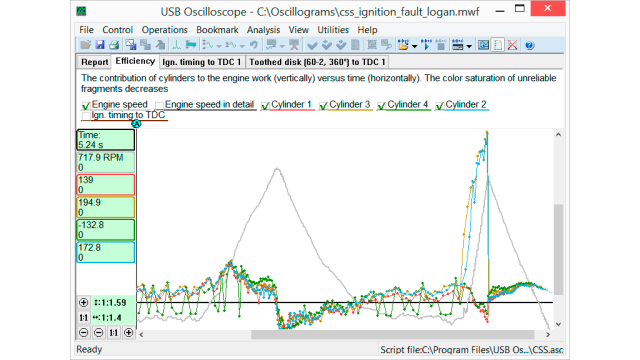 Tab “Efficiency” from the CSS script report, from a Renault Logan. Ignition coil for the cylinders 1‑4 is faulty; spark gap of the spark plug on the cylinder 4 is too small. 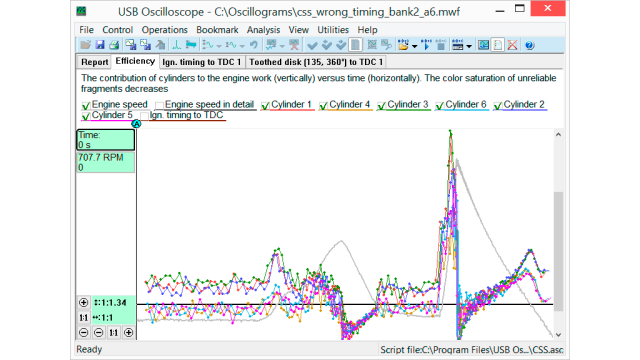 Tab “Efficiency” from the CSS script report, from a vehicle with bad compression in cylinder 4. 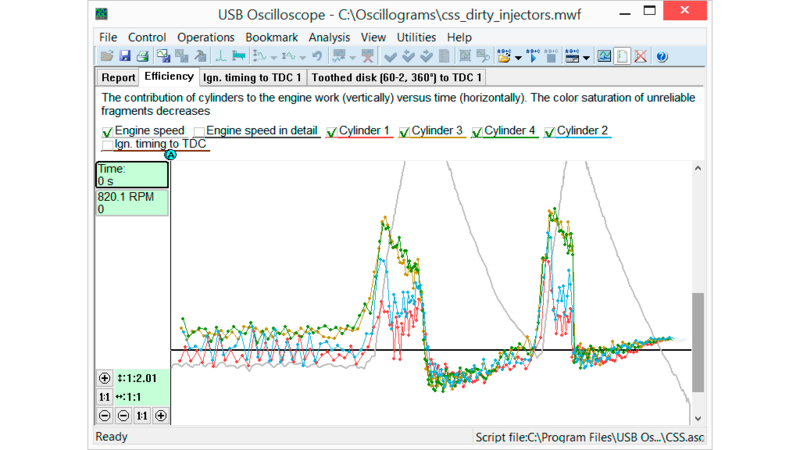 Tab “Efficiency” from the CSS script report, from a vehicle with dirty (clogged) injectors. Tab “Efficiency” from the CSS script report, from a Kia Shuma. 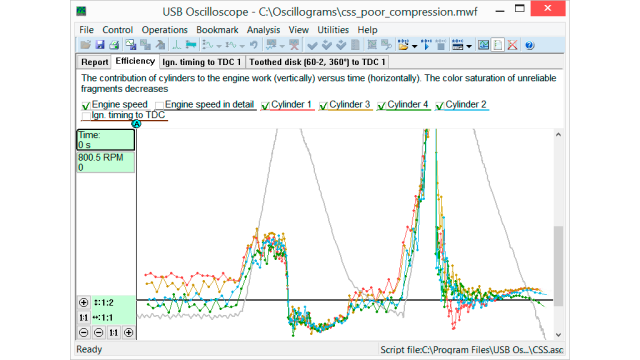 Camshafts are not properly installed – valve overlap is increased. Tab “Efficiency” from the CSS script report, from an Audi A6. 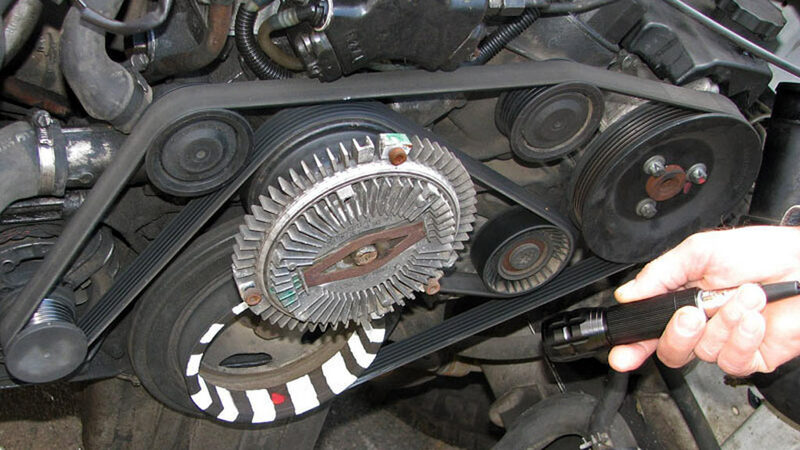 The camshafts on Bank 1 are not properly installed. 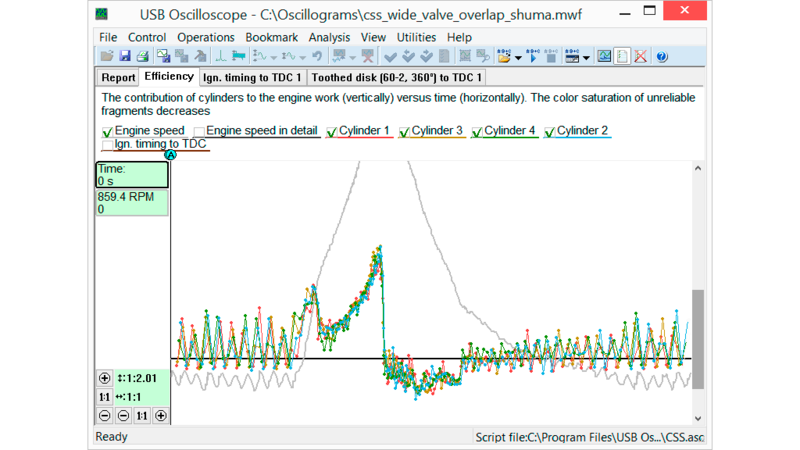 Volumetric efficiency is decreased. 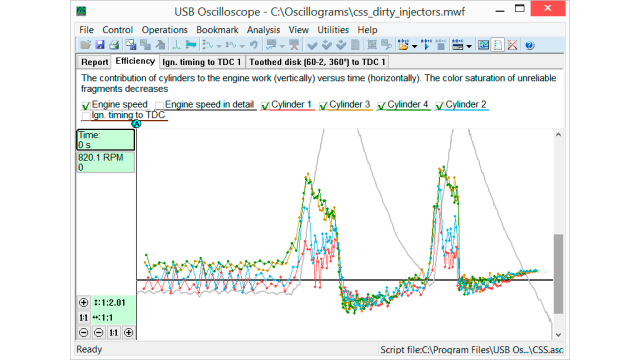 Tab “Efficiency” from the CSS script report, from a rotary-piston engine on Mazda RX‑8. 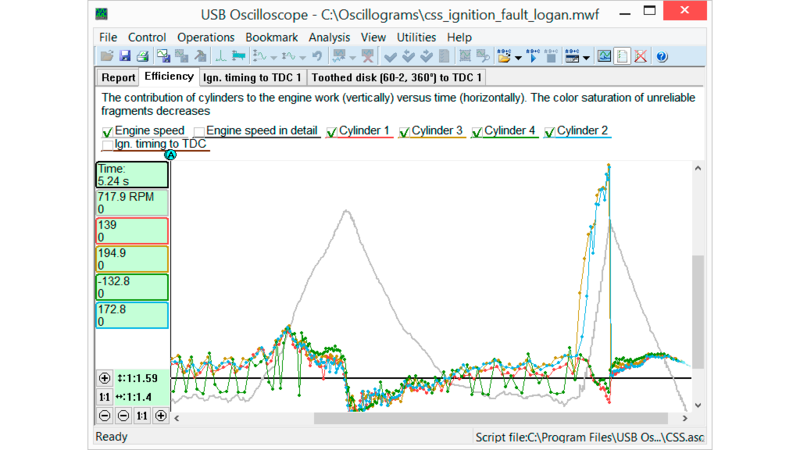 The lower spark plug of the 2nd rotor is faulty. 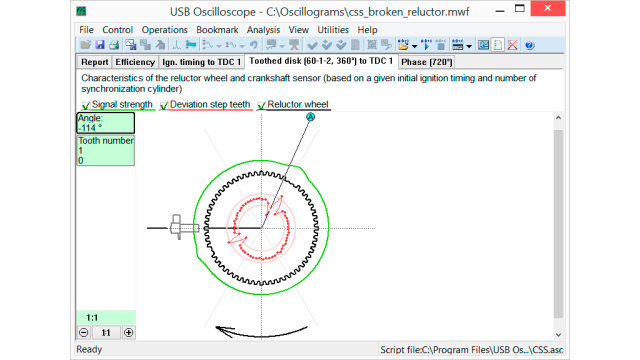 Tab “Toothed disk” from the CSS script report, on a vehicle with damaged reluctor wheel, one tooth is missing. Tab “Phase” from the CSS script report, on a vehicle with the continuous variable valve timing in good condition. 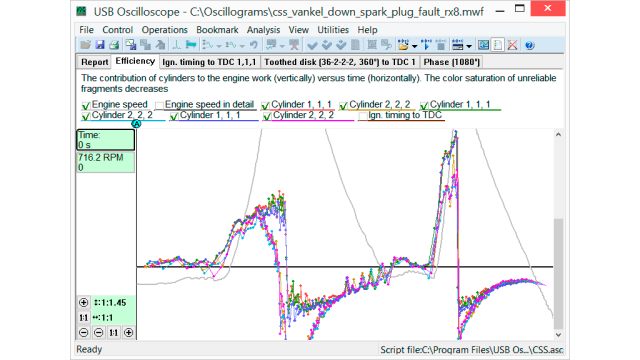 Tab “Phase” from the CSS script report, on a Nissan Armada. 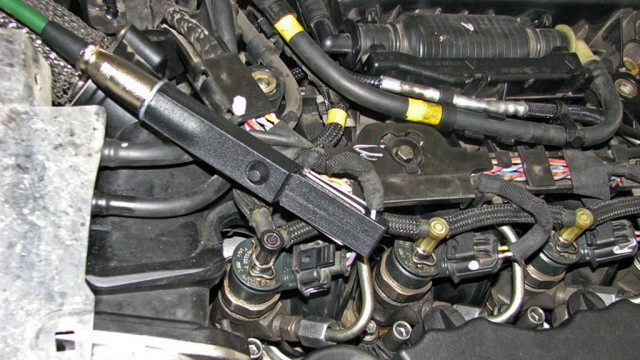 Camshaft sensor is faulty: the width of pulses generated by the sensor does not always match to the width of the reluctor teeth.